How do you cook for a family of picky eaters and still stay sane? 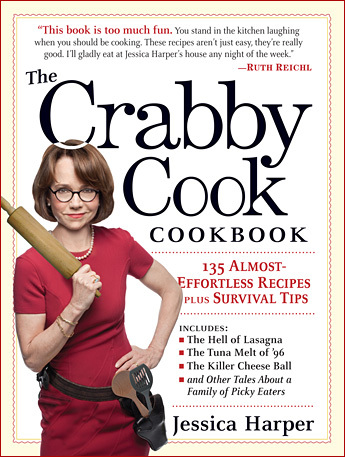 A combination of stories, strategies, humor and 137 go-to recipes, The Crabby Cook Cookbook is the book for anyone who does not always experience the "Joy Of Cooking." Jessica's humor and her expertise in the kitchen shine through on every page! Now that I have the manifesto, I can take pride in my own crabbiness!" This book is too much fun. You stand in the kitchen laughing when you should be cooking. These recipes aren't just easy, they're really good. I'll gladly eat at Jessica Harper's house any night of the week."